Chateau Montelena has a long history dating back to 1882. That was the year when Alfred L. Tubbs purchased 254 acres of land in the Calistoga appellation of the Napa valley. Tubbs set to work planting the vines for the purpose of creating his American version of a French chateau that would be right at home in the Bordeaux. Alfred Tubbs was so enamored with French wine, he hired a French wine maker and brought him to America to help produce Chateau Montelena wines. Montelena became tremendously popular. With its new found fame and wealth, the estate continued expanding until it became the 7th largest winery in Napa by the start of the 20th century. Things continued improving until Prohibition caused all wine making and consumption in America to grind to a halt. Once the Volstead act was repealed, it took decades for the California wine industry to get back on track. In 1958, the heirs of the Tubbs family sold the winery to Yort and Jeanie Frank. Alfred Tubbs will always be remembered in Calistoga. The street where Chateau Montelena is located on is now called Tubbs street. After buying Montelena, the Frank family created the stunning picturesque grounds and gardens that occupy Montelena today. 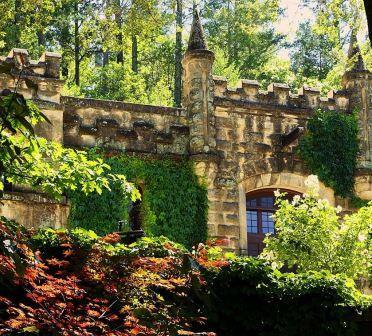 Chateau Montelena was purchased by Jim Barret and Lee Paschich in 1969. The initial vintages were made from purchased fruit, bought from other growers in the area. 1978 was the debut vintage for Chateau Montelena using estate grown grapes to make the wine. The reason for the decade long delay before making wine from their own vineyards was due to that the vines needed to ripped out and the vineyards replanted. In 1969, much of the estate was planted to Carignane, Alicante and other varietals that the new owners were not interested in producing. Their goal was to produce great California Sauvignon and Chardonnay. The next move for Montelena was to hire Mike Grgich as their winemaker. Mike Grgich later went on to found his own, self named winery. Chateau Montelena had become immensely popular by the middle of the 1970’s. But what really made the wines and the reputation of Montelena famous all over the world was the results of a blind wine tasting held in Paris in June, 1976. The event was billed as The Judgment of Paris. At the tasting, Chateau Montelena and other wines, including some of the top Bordeaux wines of the day were pitted against each other in a blind tasting. The nine tasters picked to judge the tasting were well-known and established in the wine industry. During the competition, the judges were asked to blind taste 4 white Burgundies against various California Chardonnay’s, California Pinot Noir wines were paired against red Grand Cru Burgundy and Bordeaux wine was arranged to be tasted next to California Cabernet Sauvignon. Prior to the tasting, which received an extraordinary amount of publicity in the pre-Internet days, many people were willing to bet money that the French wines would easily triumph. Comments heard around the table during the event quoted the judges as saying: “Ah, back to France!” exclaimed one judge sipping a 1972 Napa Chardonnay. “That is definitely California. It has no nose,” said another judge after tasting a Batard Montrachet. After the ballots were cast and later revealed, the red wines with the highest scores were Stag’s Leap Wine Cellars’ ’72 from the Napa Valley, followed by Mouton-Rothschild ’70, Haut-Brion ’70 and Montrose ’70. The four winning whites were, in order, 1973 Chateau Montelena, 1973 Meursault-Charmes and two other Californians, 1974 Chalone from Monterey County and Napa’s 1973 Spring Mountain. At the time, Jim Barrett, the general manager of Montelena stated, “Not bad for kids from the sticks.” The success of Montelena is owed to Jim Barret. His efforts, along with Bo Barret, his sons work help keep Montelena on solid ground. By 1982, Bo Barret, the son of Jim Barret took over as wine maker for Montelena. By the start of the new millennium, Montelena experienced problems with several vintages due to their cellars, which had become infested with TCA. This caused wide rifts between critics, Montelena and consumers as each voiced their opinion. By 2004, Montelena began to acknowledge the TCA problems, which were eventually solved. In July, 2008, a deal was struck to sell Chateau Montelena to the owner of Chateau Cos dEstournel in Bordeaux. At some point, the relationship between the Barret family, the owners of Montelena and Michel Reybier became contentious and the deal fell apart. A law suit was filed and Montelena eventually won a judgment. Jim Barrett passed away, March 15, 2013 at the age of 86. Aside from his work in creating the modern era for Chateau Montelena, Jim Barrett remains known for his term as President of the Napa Valley Vintners, his service on the board of governors of Thomas Aquinas College in Santa Paula and his efforts with Family Wine Makers. Jim Barrett remained dedicated to his Irish roots as a loyal member of the “Irish Order of the Wine Geese,” a wine group focused on the Irish connection to the wine industry at large. Traditional in style, the wine of Chateau Montelena Cabernet Sauvignon is fermented in stainless steel at warm temperatures. Malolactic fermentation takes place in large 1,200 gallon casks. The wine is aged in 20% to 25% new oak for up to 22 months. The barrels are stored in a series of tunnels and caves beneath the chateau and winery. In August 2013, at the ripe old age of 130 years old, Chateau Montelena was officially recognized by the American National Register of Historic Places. Montelena produces Montelena Estate Cabernet, Napa Valley Chardonnay, Napa Valley Cabernet Sauvignon, Zinfandel and Riesling. 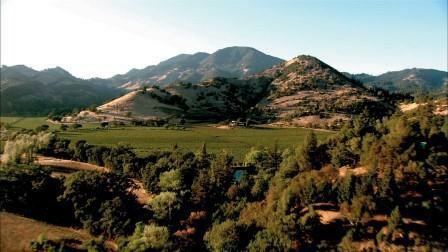 While Montelena produces wine from a myriad of varietals, the estate is primarily known for their Cabernet Sauvignon. With close to 121 acres under vine, the average annual production for Montelena is close to 50,000 cases of wine per vintage. Montelena wines are best served at 15.5 degrees Celsius, 60 degrees Fahrenheit. The cool, almost cellar temperature gives the wine more freshness and lift. Young vintages of their red wine can be decanted for 1-3 hours, depending on the character of the vintage. This allows the wine to soften and open its perfume. Older vintages might need very little decanting, just enough to remove the sediment. The red wine of Montelena is best served with all types of classic meat dishes, veal, pork, beef, lamb, duck, game, roast chicken, ribs, hamburgers, barbecue, roasted, braised, grilled dishes and stews. Montelena is also good with Asian dishes, hearty fish courses like tuna, salmon, mushrooms and pasta. The white wine of Montelena is best served with all types of seafood and shellfish, sushi, sashimi, chicken, veal, pork and cheese. Nice wine here, with lots of fresh, sweet, juicy black cherries, blackberry, pepper and earthy qualities. The tannins are ripe and smooth, finishing with ample fresh, ripe dark berries. Like all Montelena Estate Cabernet Sauvignon wines, this will probably be much better in a decade. Surprisingly forward and approachable for a Montelena this young, the medium bodied wine, with is cherry dominated core also displayed oak, spice and earthy character. Firm, structured and demanding bottle age, the wine is clean, fresh and long, with blackberries, earth, spicy red plums and herbs. Earth, licorice, spice, cassis and coffee notes lead to a rich, full, concentrated, tannic wine that requires 3-5 years to relinquish some of its tannic structure. Vanilla, earth, blackberry, black cherry and a nice array of spices open the wine. Soft, approachable and with good freshness, the wine ends with a round, red and black fruit filled finish, which is complicated by fresh herbs. Medium bodied with red and black fruits, earth, oak and tobacco, this is easy to like and drink. Tannic, young, ripe and firm, especially for a 2007 wine, this needs time to integrate, develop more softness in the tannins and flesh out. Popped and poured at the last minute to toast Jim Barrett who just passed away, the wine as expected is still young. With air, this earthy, fresh, cassis, spice and blackberry filled wine began to show its stuff. It is dense, full bodied, and packed with tannins, demanding at least 5-10 more years to soften and develop. There is a beautiful sensation of purity of fruit in the structured wine. 96% Cabernet Sauvignon and 4% Cabernet Franc. Big, dense, concentrated and powerful, the cassis, tobacco and earthy tannic, wine is well made, but it lacks grace and elegance. With an earthy, cassis filled nose, the wine is full bodied, rich, fresh, young and vibrant, with a long, spicy, ripe, fruit driven finish. Rich, full bodied and intense, with polished tannins, lift, purity of fruit and freshness, the wine moves from blackberry to dark cherry and back to black fruits again in the finish. This is good now and will keep getting better with age. I have not always been the biggest fan of Montelena. While the wines are always well made, for my palate, they have been lacking in character. Popped and poured at the end of the night, I was blown away by the quality of this wine! Everything about it rocked starting with the deep color. The pungent aromatics packed with cassis, earth, tobacco and truffle were a pleasure to experience. But the thick, plush, palate coating texture was where the fireworks took off. The wine has great intensity, purity, complexity and length, and it's still young! This is the vintage to buy of Montelena. If it was this good just popped and poured, with time and air, this is a serious Cabernet Sauvignon for the cellar. This began with spice box, black cherry and smokey aromatics. Soft, elegant and full bodied, the wine seemed like it was still holding a lot in reserve. Fresh, ripe cherries and cassis in the aromatics, bright, crisp, fresh with a distinctive herbal, green pepper tint on the palate. Traditional in style, with cassis, blackberry, tobacco, spice and forest aromas, the wine is concentrated, youthful and crisp, ending in a big, chewy layer of dark red fruits. Clearly this is well made, but perhaps it's not the most exciting style of wine. Offering spice box, truffle, dark berries, smoke and tobacco on the nose. This full bodied wine ended with ample black cherry, but there was some tartness noted in the final notes. Deep, intense flavors that continue expanding in the glass. This is a serious wine in a classic, non culty style. Classy, not flashy. Still young. Still going strong, it's impossible to believe this wine is 25 years of age, due to all the freshness, vibrancy and clean, ripe, cassis that shines through. Full bodied, richly textured and concentrated, you can pop a bottle today with pleasure. But if you forget about a few bottles for another decade, I am sure they will be just as good in the future as well. Great nose, body, palate presence and filled with ripe cassis, spice, herbs and chocolate. This has a good future ahead of it. Great stuff! If you’re a fan of classic California Cabs. The color remains dark with almost no lightening at the edges. Blackberries, cassis, oak, coffee, licorice and eucalyptus notes on the nose. Thick, chewy, full-bodied texture. Very concentrated. Black & red fruits with, chocolate covered raisins meshed well with the long lasting, slightly dusty finish. Better on the nose than with the classic, Cabernet Sauvignon filled palate. The wine, while concentrated with good materials, falls short on the finish, which shows and rustic quality to the texture and a greenness in its flavors. This is quite strict in its character and there is an austerity on the profile that some tasters will like more than I did. If you’re seeking a classic California Cabernet Sauvignon to stack up against upper level Bordeaux in a blind tasting, this is the wine. Still young, fresh, vibrant and fruit filled, the wine is concentrated, balanced, rich, complex and aromatic. At close to 45 years of age, this still has its old school charm intact, with its tobacco, cedar wood, cassis and tart, red berry profile. Medium/full bodied, and with a bit too much tart over sweet fruit, with rustic tannins in the finish, it's still a fun look back at the old school, California Cabernet Sauvignon.